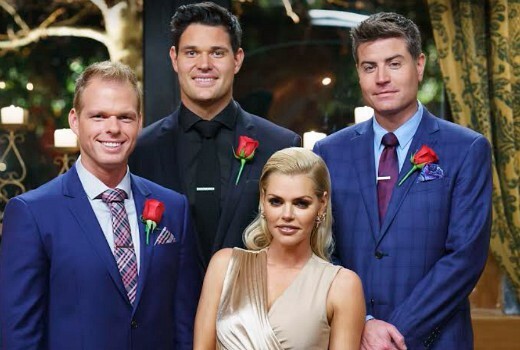 TEN has won Thursday night in ratings, thanks to its double act of The Bachelorette & Gogglebox. TEN ran away with a 28.8% share ahead of Seven’s 26.6%, leaving Nine in third on 23.3% for the second Thursday in a row. ABC struggled with 13.9% but SBS improved on 7.4%. It appears to be their first nightly win since September 2016. The Bachelorette scored an impressive 1.02m viewers, up on last Thursday’s 985,000. Home and Away -with a 30 minute head start- was second on 650,000, then RBT and 7:30. It’s worth noting Great British Railway Journeys pulled out 356,000 for SBS, suggesting many viewers were unhappy with other offerings. Gogglebox drew 777,000 with a later start, down on last week, but enough to dwarf movies on Nine & Seven. It was bad news for local dramas, Glitch & Sunshine. It was also a #1, #2, #3 punch in the demos for TEN, courtesy of The Project. For those interested Sunrise (288,000) and Today (281,000) were neck and neck. Other TEN titles were The Project (615,000 / 394,000), TEN Eyewitness News (421,000), Law & Order: SVU (334,000) and Family Feud (295,000). Seven News (918,000 / 884,000) led for Seven followed by Home and Away (650,000), The Chase (520,000 / 353,000) and movie: Terminator Genisys (317,000). Nine News was best for Nine with 896,000 / 818,000 then A Current Affair (732,000), RBT (550,000), Hot Seat (445,000 /242,000), and movie: We’re the Millers (318,000). On ABC it was ABC News (662,000), 7:30 (404,000), Insert Name Here (291,000), Glitch (198,000), Grand Designs (167,000) and Louis Theroux: A Different Brain (140,000). Great British Railway Journeys (356,000), Food Safari Earth (256,000), Sunshine (168,000), SBS World News (121,000) and Bosch (94,000) comprised SBS. Shaun the Sheep shipped out 209,000 viewers on multichannels. Good news for TEN on Thursday night. Well, Season 2 of Glitch ended up going nowhere – more questions than answers in the end. A shame as I quite enjoyed it overall. Clearly set up for a possible Season 3 but I’m guessing that’s unlikely. Also really enjoying S2 of The Durrells – very warm and quirky. What a stunning location. Just Wow…. but I watched SBS…..
What an absolutely fantastic night for Ten! Woo hoo. Biggest regular episode for either Bachelor/Bachelorette. Even SVU won its timeslot at 10:15pm. Apparently biggest share since the MasterChef finale last year. Seven only did well with multi-channels, as their movie premiere flopped compared to last week. Nine had nothing, same with the ABC. Although great to see an SBS show rank.